This beautiful and completely renovated farmhouse has a large playroom with table tennis, a pool table and darts. The large kitchen opens on to the living room. The house is very tastefully decorated and has classy furniture. The south facing terrace is tiled. The house has 2 bathrooms, one of which also has a jacuzzi. In the large, well-designed garden there is a 1.5 km walkway, a play castle and a playhouse. There are excellent fishing grounds in the area. Avid anglers will be pleased with the spacious freezer, which offers plenty of space to store your catch. 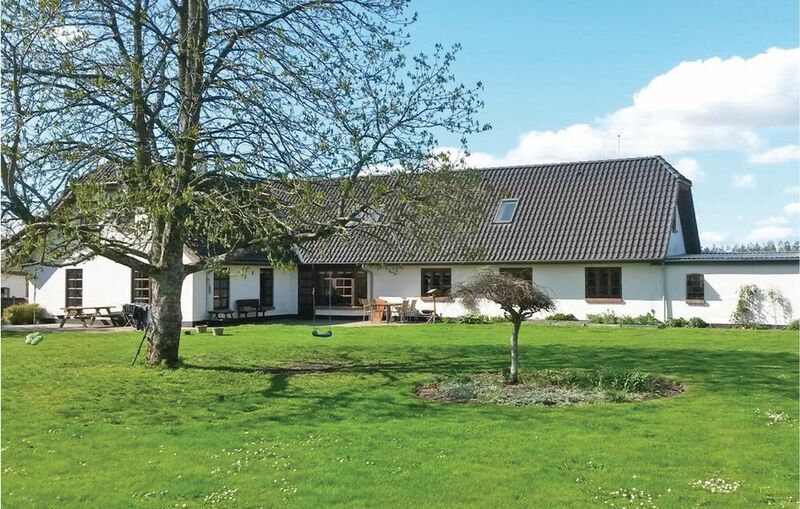 Herning, a beautiful city with many attractions, is located within easy to reach of the house.